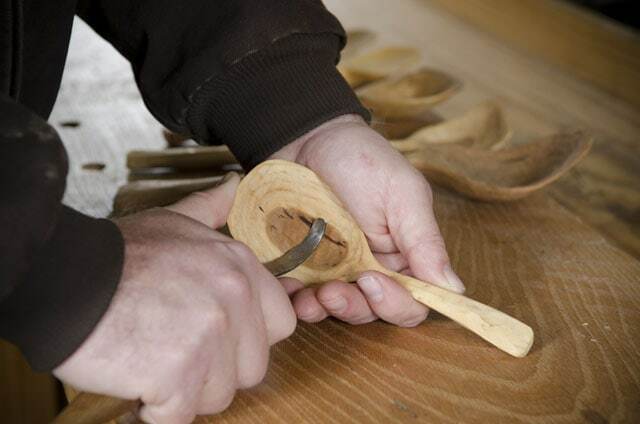 In the above video, wooden bowl and spoon maker Mike Cundall talks about which hand tools are needed for green woodworking generally, and also for bowl carving and spoon carving. 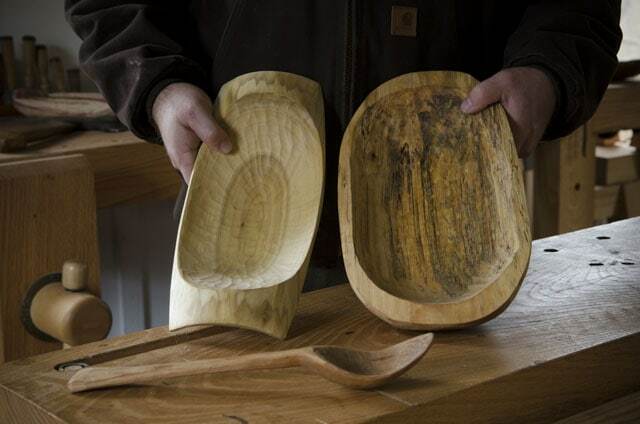 He also shares some of his beautifully carved wooden spoons and bowls. 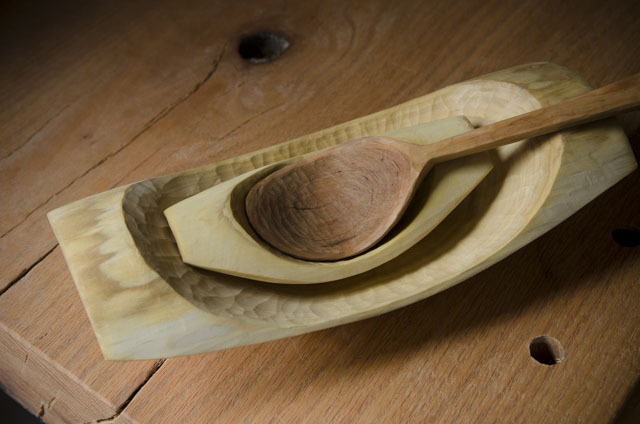 Mike Cundall builds furniture, and carves his lovely wooden bowls & spoons out of his home workshop in North Carolina. He is also a professor of philosophy at the University of North Carolina A&T. In addition to teaching bowl and spoon carving at our school, he teaches the same subject at the John C. Campbell Folk School. He loves hanging out with his wife and three sons, and practicing the Japanese martial art of Aikido. He’s a zen kind of guy, all around! 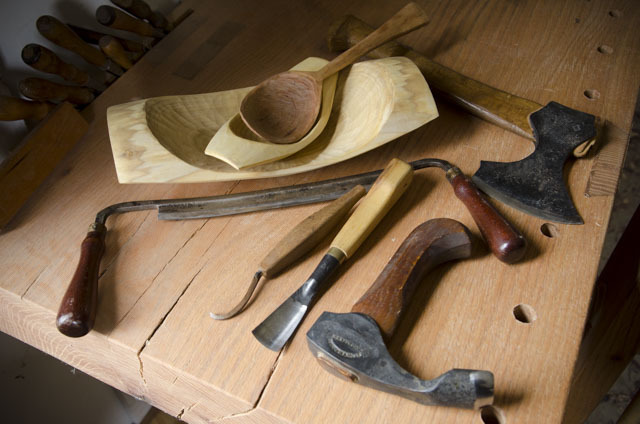 Below is a short list of hand tools that Mike specifically uses for wooden bowl carving and spoon carving. If you want a full list of tools used for green woodworking in general, please visit our updated Green Woodworking Tool Buyer’s Guide, here. It shares advice on what each tool is used for, what features to look for, and where to buy the tools. And we share some of Mike’s valued and detailed advice on tools used for bowl and spoon carving. But this is a blog post, so we’ll keep it short here. We hope you can come join Mike for one of his classes, and please comment below to let Mike know what you think of his work! Almost there! Check your inbox or spam folder for an email we just sent you, then click the link to confirm your subscription. 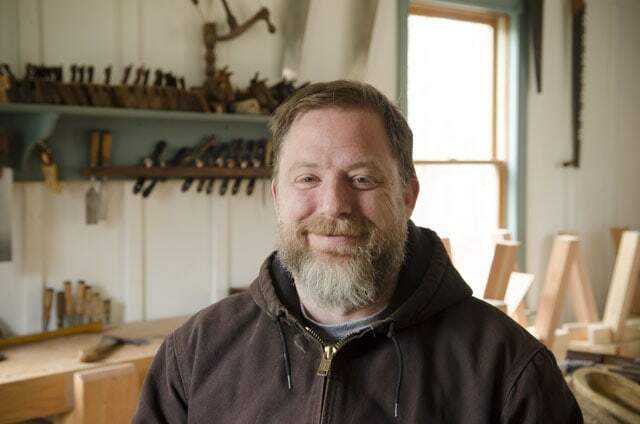 Joshua loves mixing his passion for traditional hand tool woodworking with his ability to teach in a simple manner. He lives on a small farm in Earlysville, Virginia with his wife and four children, and builds furniture in his workshop / woodworking school. Finally, the Best High-End and Affordable Dovetail Saw!